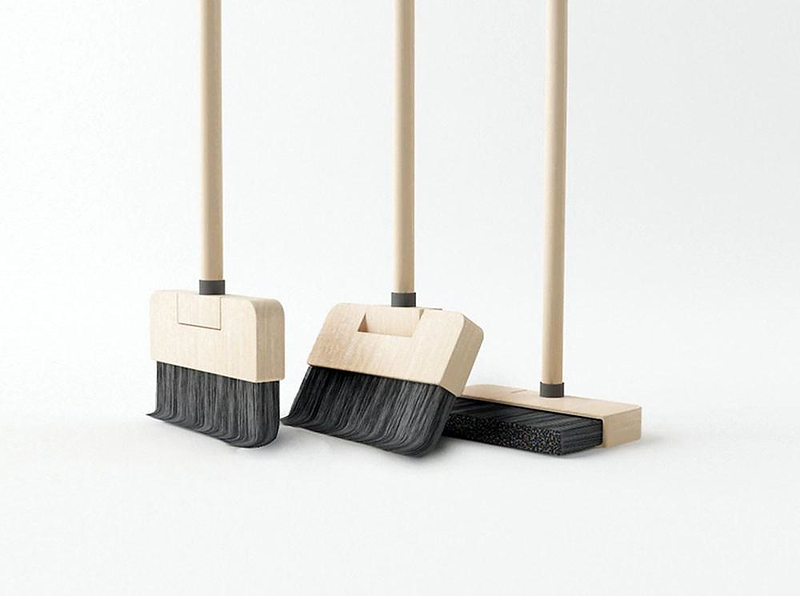 HomeBlogVariousStanding Broom by Poh Liang Hock. Standing Broom by Poh Liang Hock. Designer Poh Liang Hock is in the process of building an improved version of the traditional broom. 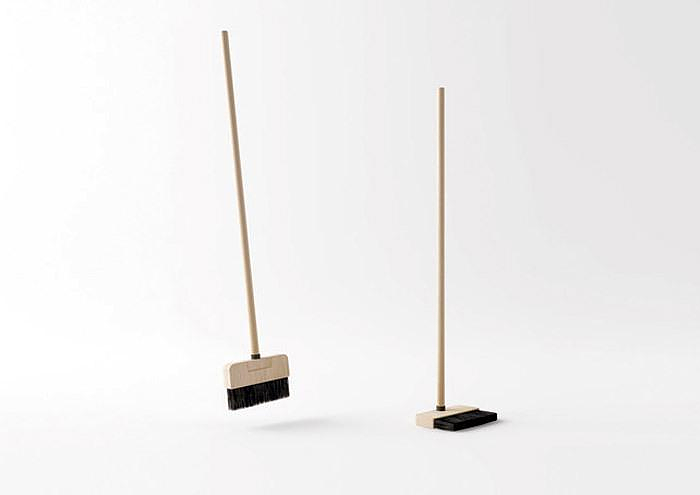 The Standing Broom is a simple and innovative idea, a self-standing broom. When they stop to rest, cleaners will often stand their broom against a wall or lay it on the floor. However, in large spaces, walls may be some distance away. Stooping over to pick up the broom from the floor is tiring, and may cause difficulty for the elderly. Moreover when you need to stow your broom you would normally hang it on the wall by a hook.The Standing Broom solves all the aforementioned issues. 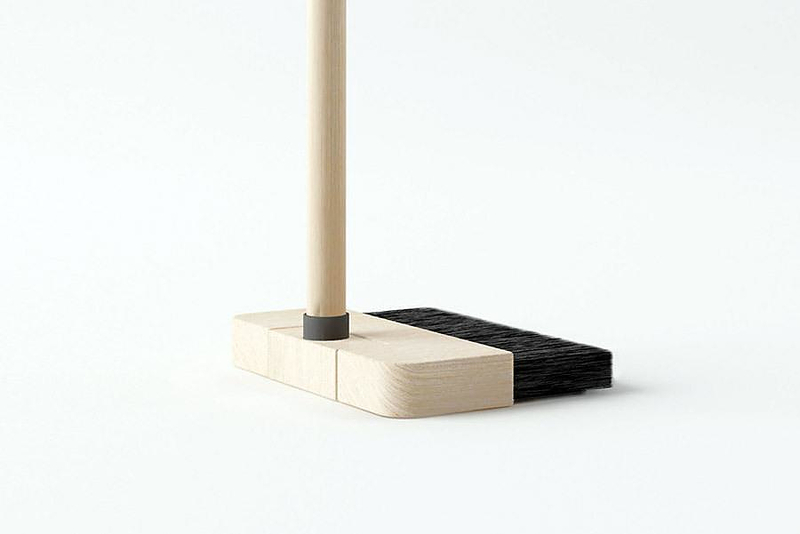 It is a clever redesign for the broom, which can stand up by itself via a folding action. For his innovative design Poh Liang Hock won a red dot design award. The operation of the Standing Broom is very simple and cleverly thought out, so that the broom wont fold while you are cleaning the floor. The user applies downward pressure on the handle to fold the broom head, and then turns the handle clockwise to lock it in place. Unlocking the broom from its standing position involves turning the handle counter-clockwise on the block, and snapping the broom head back into its vertical position. Apart from the obvious practicality as a genuine design object the Standing Broom is also stylish and environmentally friendly. Its sleek geometric shape helps it stand apart from conventional brooms, while it will be made from wood rather than plastic. This is a very interesting and commercially viable design by Poh Liang Hock and we hope to see it in production soon. e_serie cabinets by Kurt Erni for Team by Wellis. Spriggy Cross Table by Gallix.